Clash of Clans became popular quite awhile ago, and I’m not even sure if many of those who first started talking about it still play it. 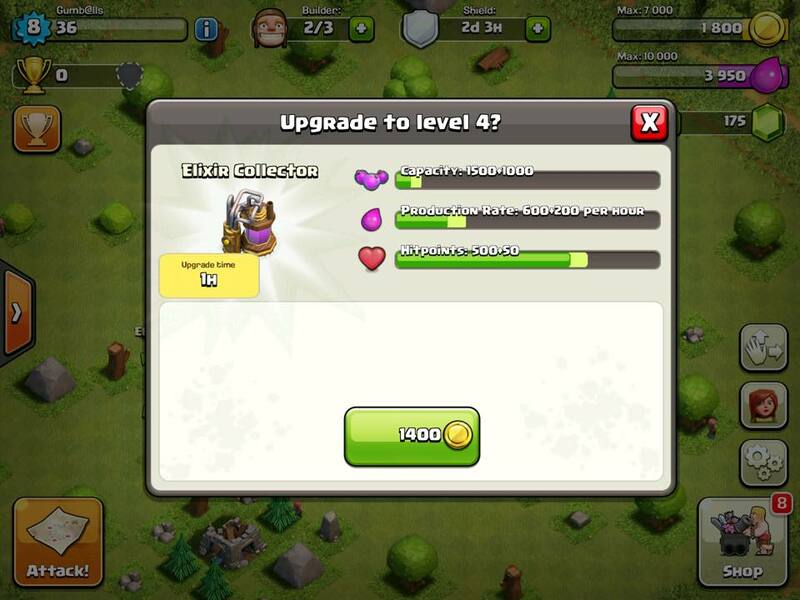 I had always known very little about Clash of Clans and had convinced myself it probably wasn’t worth my time. From what I could tell it was just another take on the Simpsons: Tapped Out model where you’re trying to construct a cool town and the more you play the more you’re tempted to spend money on the game to expedite the building process (there’s not much to do while waiting for tasks to complete). Yesterday for some odd reason I decided to finally download Clash of Clans on my iPad. Now I’m once again stuck in the mindset that if I’m not constantly putting my builders to work upgrading my town (camp? not sure what Clash players refer to their home base as) I’m essentially throwing away time and leaving my home unprepared for a siege. 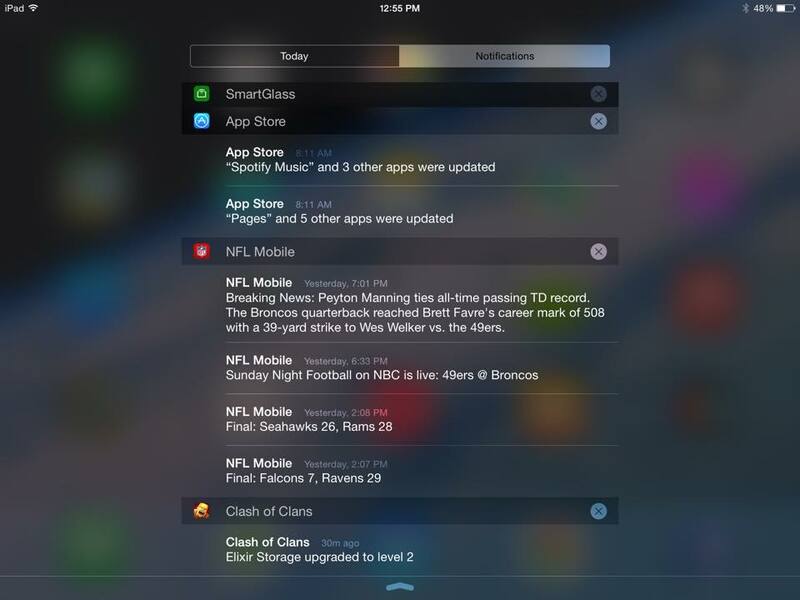 A notification from Clash of Clans that’s 30 minutes old. That’s 30 minutes that builder could’ve been put to work doing something else! So far the game is enjoyable, more so than I expected it to be. I’m a “noob” in every sense, I’m just getting my feet wet, but basically you build up your town and upgrade facilities that collect resources (elixir and gold) which you then use to upgrade more facilities, build new buildings or defenses and train troops. It will take one hour and 1400 gold to upgrade this elixir collector to level 4, increasing its production rate by 200 per hour. You use your troops to complete single player objectives where you can raid encampments in order to steal elixir and gold, and also earn stars based on how much damage you do before all of your troops are killed (3 stars if you completely destroy everything). You can also raid other player’s camps, however if you do so within your first three days of gameplay you also become vulnerable to invasion by other players (for the first three days you have a shield which prevents you from being attacked. You can also purchase additional shield time with gems). I haven’t seen any of the player vs player combat yet since I’m still within my first three days of gameplay, so I can’t really comment on that, but I presume that’s where where real fun begins. I’m also not eligible to join a clan yet, so that’s another area of gameplay I can’t comment or speculate on. I’m interested to learn more about the game, but for now I’m just working on upgrading my town as much as I can to prepare for the moment I become vulnerable to invasion in two days. I’ll admit I already spent $4.99 on the game to purchase 500 gems which were required to receive a third builder. Builders are what you use to construct and upgrade your facilities and I felt too limited with just the two builders you start out with. You can earn gems without spending any money, however it will take patience which I don’t quite have. 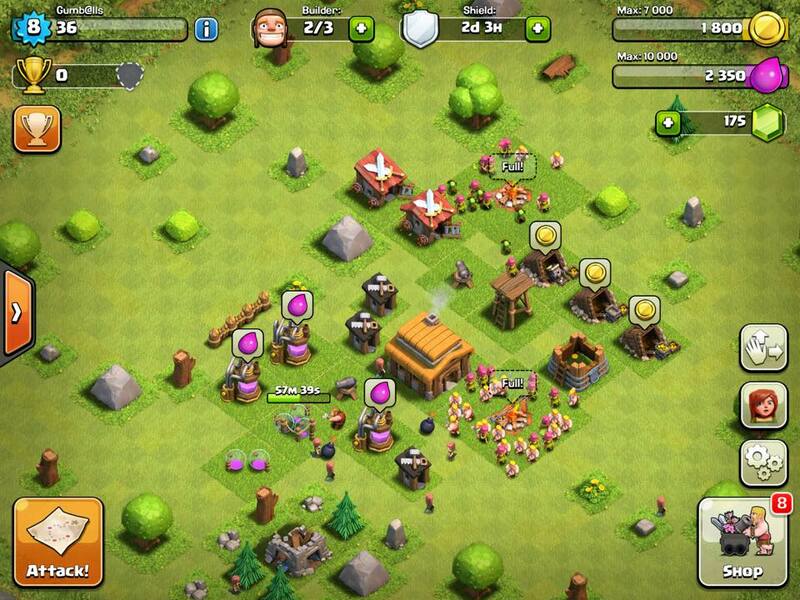 Do you play Clash of Clans? Have any advice for a newbie? How about the Star War’s version, Star Wars: Force Commander? 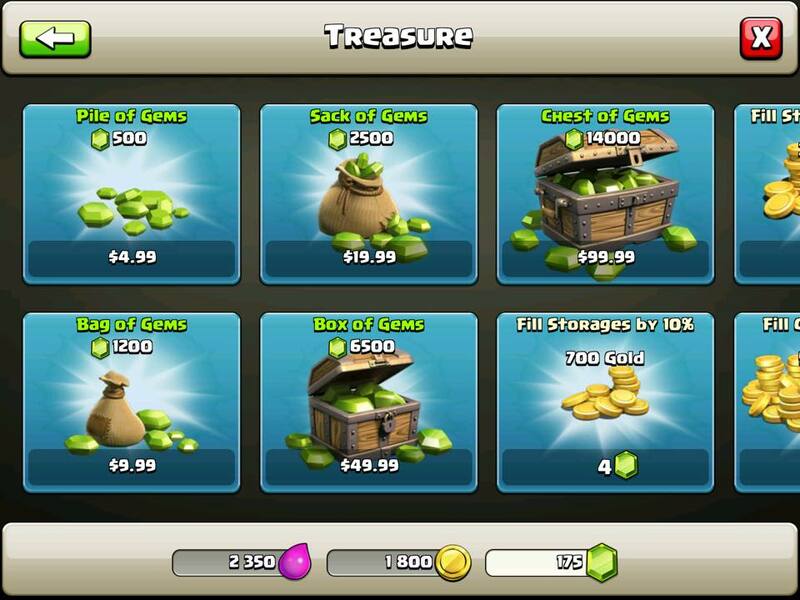 This entry was posted in Apps, iOS games, mobile games, Video Games and tagged addicted, addictive, Clash of Clans, getting sucked in, ios games, mobile games, Star Wars Force Commander. Bookmark the permalink.